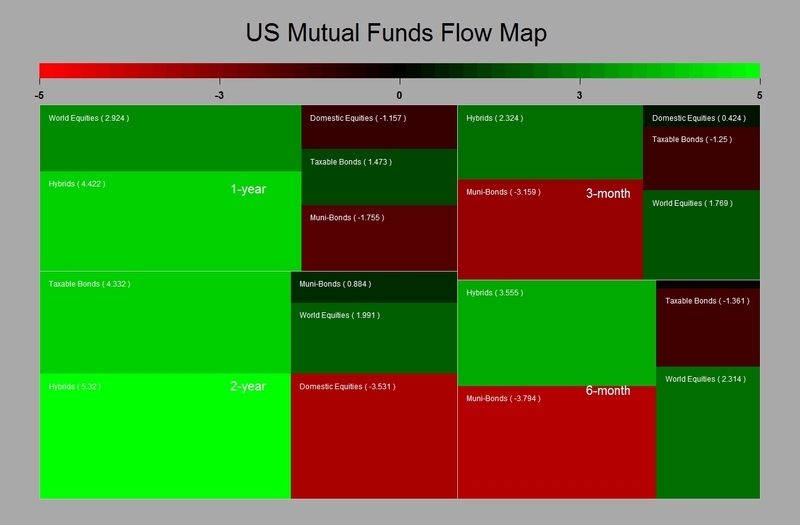 US Mutual Funds Flow Data…They Are Still At It ! Ok it is ICI data release time again…and guess what ? US investors are still buying shedload of global equities and dumping bonds. And the latter goes on despite the latest Fed statement being more dovish than expected and the retracement in Yields. I ‘ll remain stubbornly long equity then…..and still look forward to a weaker dollar as those flows are currency un-hedged. 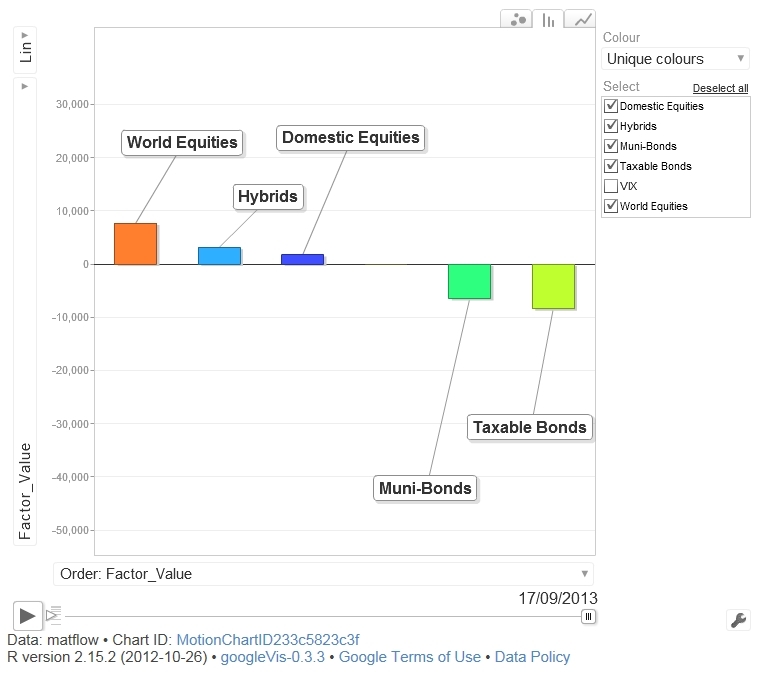 Posted in Asset allocation, Bonds, Stock Market on September 26, 2013 by Pierre.